Rarely can a smoke session on the go be as easy as "a flick of the wrist" but this happens to be the case with the Shhmokewear Glass Wrist Hookah. 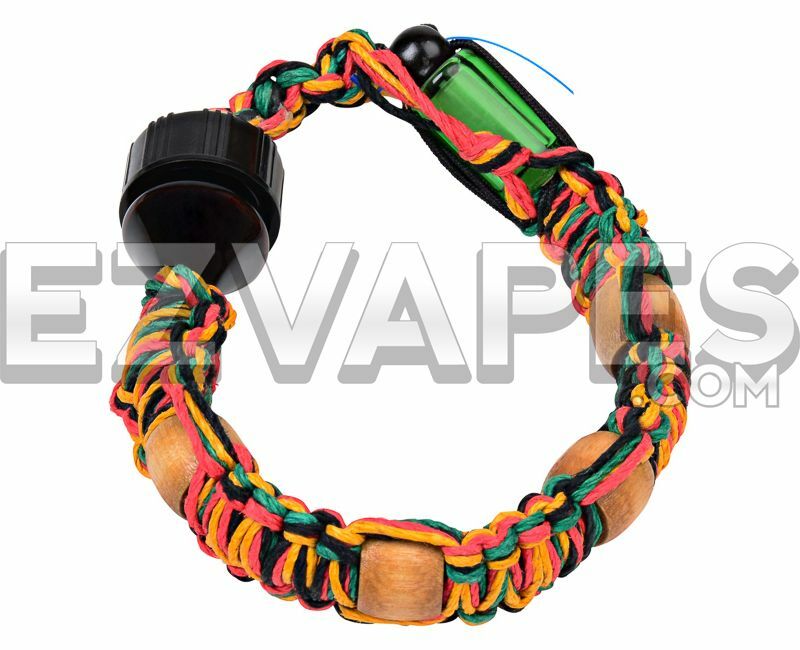 Each wrist hookah has a fully functional bowl that screws into a cap to complete the bracelet design. When unscrewed you can already have your material packed and ready to go, while moving the small wood bead located by the cap to the side you reveal the mouthpiece. 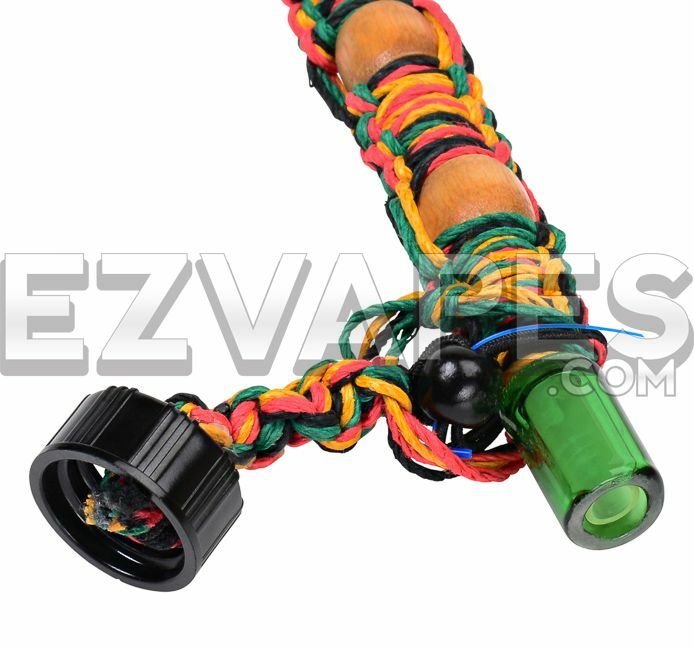 The rasta design has a beautiful wood finish for the accent beads with the traditional rasta colors woven through the bracelet. The glass wrist hookah comes in both a small size (about 9" long) and a large size (about 10" long).